With the term eco-friendly being on the tips of everyone’s tongue for the past 10 to 15 years, it is the norm for us to reuse and recycle. What hasn’t become the norm is having an eco-friendly vehicle. At least until a few years ago, now all major car manufacturers are involved in making their own all electric vehicle. This is how the concept, Porsche Mission E, became the Porsche Taycan, Porsche’s first all-electric sedan. Now it’s not looking to replace the 911 – not yet at least, but production has increased recently, and we want to know why. The most obvious reason is consumer demand. With Porsche expecting to produce 20 000 units per annum, this number was deemed too low by market research. In Norway alone, the pre-order number was 3000 units, which is 5 times more than ICE (internal combustion engine) vehicles. Porsche are preparing themselves for the eventual future, where electric cars will become the norm. This is standard economic theory, demand causes supply, so Porsche have followed suite and are producing more. This is a very profitable venture; hence in terms of business increasing production is only logical. With all major auto manufactures releasing fully electric cars, its only right Porsche does so as well. They are well known brand, and buyers will be looking for a Porsche electric vehicle. 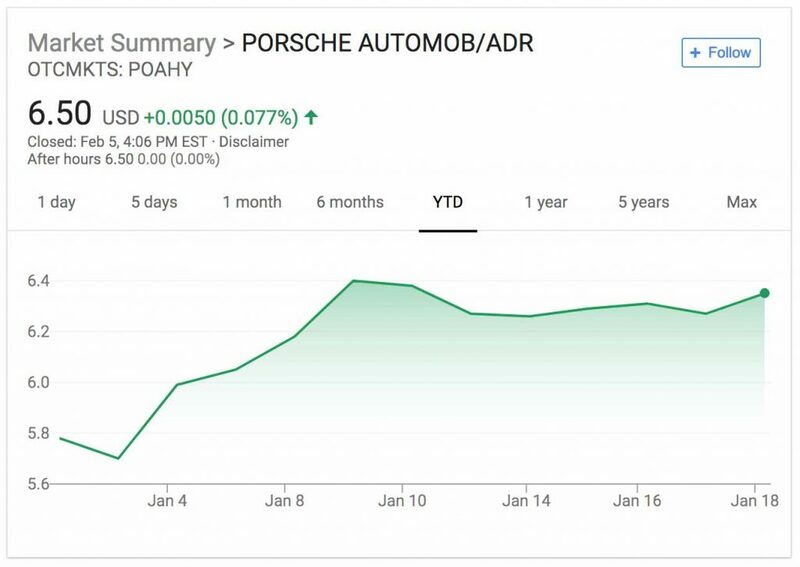 If Porsche didn’t do this, they would be losing part of the market share of electric vehicles. In 10 years’ time when a large part of the market is potentially dominated by electric cars, Porsche will want to be an established position. When people buy a Porsche, they don’t only purchase the vehicle, the purchase the brand. They expect the same Porsche quality, and increase production of the Taycan is an indication of that Porsche quality making its way to the electric vehicle market. As a major corporation, Porsche sees it as their social responsibility to move towards being an eco-friendlier brand. Not to say they are going fully electric, but producing cars, that emit less CO2, is not only a positive mark on the brand, but Porsche doing its part to be eco-friendlier. In their own words, the careful use of resources and being environmentally conscious, forms a key part of the company’s strategy. They want to continue to blend their own Porsche brand values, with innovative technologies, to produce the future of sports cars. The increase in production of the Taycan signals Porsche following through with these statements – to be a more energy-efficient, environmentally sustainable luxury sports car brand. As of the writing of this article, no new information has been released regarding the release of the Taycan. We still expect a release in 2019, but there is no set date. Also, Porsche have revealed that there will be multiple variants of the Taycan, with different degrees of power, released in the future. With production fully beginning in 2019, we expect more information as the year goes on. The bottom line is that increasing production of the Taycan just makes sense. They are planning by 2022 to have invested $6bn and expect the current Porsche vehicles to more of a niche market by 2030. A member of the Porsche executive board, Albrecht Reimold said, “Economic success, environmental awareness and social responsibility are not opposing concepts.” Porsche are planning to be at the forefront of electric luxury sports vehicles, and this can be seen as the first step to solidifying that position.